Hafsah Faizal is an American Muslim and brand designer. She's the founder of IceyDesigns, where she creates websites for authors and beauteous goodies for everyone else. When she's not writing, she can be found dreaming up her next design, deciding between Assassin's Creed and Skyrim, or traversing the world. Born in Florida and raised in California, she now resides in Texas with her family and a library of books waiting to be devoured. 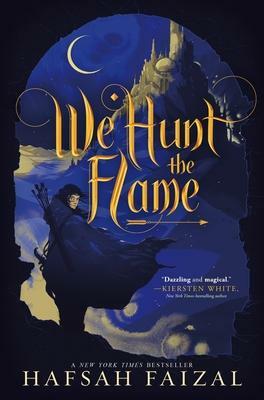 WE HUNT THE FLAME is her first novel.